I bought this really awesome CRAP notepad by Knock Knock when I visited Portland (see related post here) and went to the awesome Powell’s City of Books. It was supposed to be for my husband, but I don’t think he thought it was as cool as I did, so I stole it back. Today, I put it to good use. I made it my physical TBR list. I felt like I needed a list that told me exactly what to read next because I haven’t been good at reading what I already have. I have a ton of Kindle books, paperback books and library books that still need to be read. I even had to return a couple of library books I wanted to read because I didn’t get to them. I’d like to say it’s because I’m a slow reader, but that’s not true. It’s because I’ve been adding books to the list by downloading books from NetGalley, purchasing amazing deals on Amazon or buying books that I want to buddy read with my Goodreads friends. I’m letting my TBR get completely out of control! I thought blogging about my overwhelming TBR list in Too Many Books, Too Little Time might help me stay on track, but it didn’t. 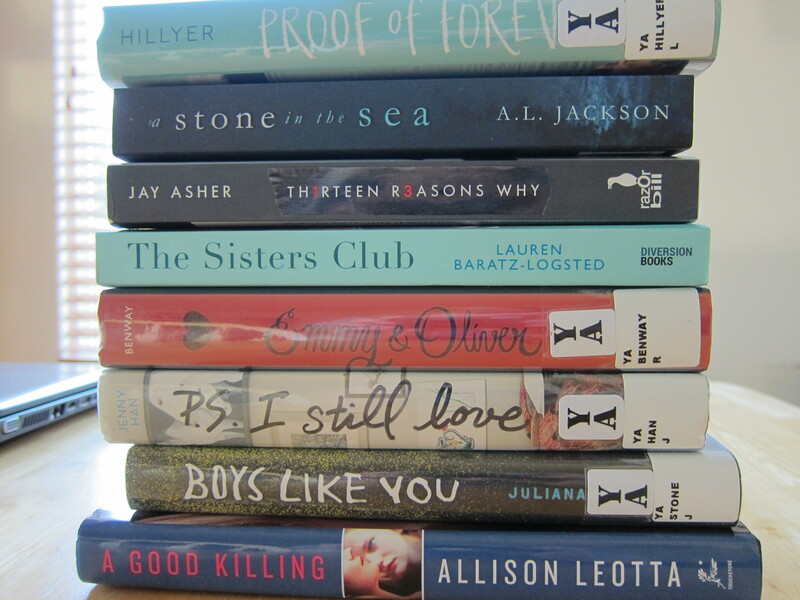 I did read three of the books in my stack: Proof of Forever, A Good Killing, and The Sisters Club. The rest of the books have been pushed down my list. 🙁 I’m not happy about that, but I committed to read a few titles so those will come first. I’m hoping The CRAP (To Read) List is going to help me stay on track and get through my list of books. Once I’m done with the eight titles I have on my list, I’m going to add another eight. Hopefully, this will keep my TBR list from feeling so daunting. 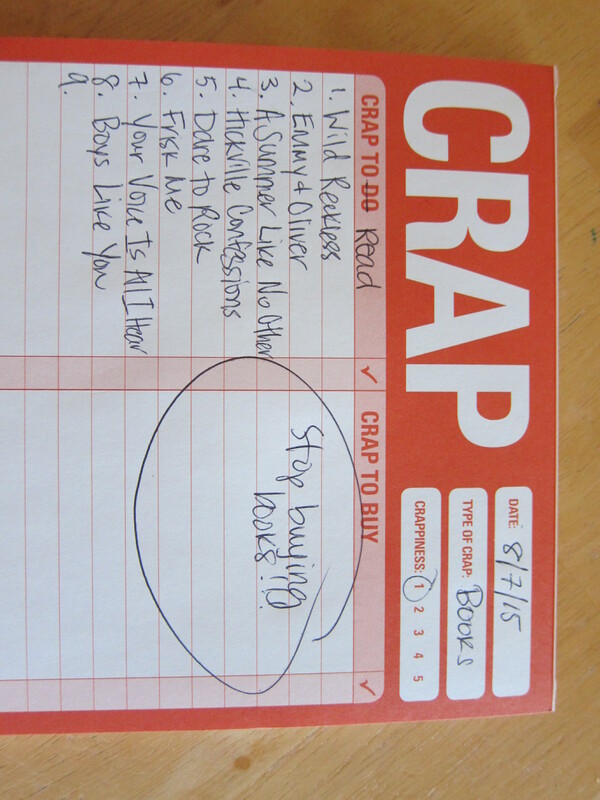 What books on your CRAP (To Read) List? Let me know in the comments! This entry was posted in Book Related and tagged TBR List by anovelglimpse. Bookmark the permalink. I know we’ve talked about this before, but Amazon has been killing me with $.99-$1.99 deals on books I really want to read! Ugh! I need to just say no! We’ll see if it actually works.